Fundsindia is online investment platform. 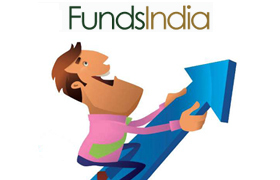 Fundsindia offers facility to invest in all investment products online. Product mix offered by this platform is mutual funds, equities, gold, loan, deposit, bonds, NPS and insurance. So let’s try to explore power of investment platform Fundsindia. What is unique about Fundsindia? This platform is completely online. You can purchase, track and get advisory services completely free. Fundsindia offers access to multiple investment products like equity, mutual funds, deposit, insurance, gold etc at single place. You can get free award winning advisory service that will add value to your investment portfolio. For Mutual funds you can get access to research report and recommendation on timely basis. You can track your investment on-line and get alert time to time. You can get buy/sell calls and stock tips from experts delivered straight to your inbox. You can compare and choose from best loan offer available in market especially for personal and home loan. Fundsinda allows you to store all your insurance policies on-line with FundsIndia’s e-Insurance Repository service. This account is free for life time and access is available 24×7 everywhere. Fundsindia smart solution provide dynamic mutual fund portfolio to achieve life goals. Life goals are like child education, their marriage or retirement needs. You need to define goal and you will get portfolio advice. This portfolio will be monitored against goals and recommendation will be given time to time. SIP Portfolio Designer help investor to create investment portfolio based on specific needs. It will take your age, investment period, amount of investment and risk profile to design portfolio. If you don’t like mutual fund scheme suggested by this platform you can do the changes. For new investor ready-made portfolios are available. These portfolios are risked based, life stage based on investment horizon based. It also provide portfolio for tax saving purpose. Fundsindia also offers various calculators to investors starting from child education need, marriage need or retirement need. You need to input target amount and you will get SIP calculations. Fundsindia provides financial planning service for the fulfillment of your investment objectives. In order to achieve this they will evaluate your income, expense and investments. They provide firm action plan and timely advice for investments. Reporting and tracking are extremely easy and convenient with Fundsindia. This investment platform offers dashboard view for tracking investments. Apart from this download facility for transaction, payment, capital gain tax and SIP is also available. Portfolio X-ray gives insights to investor about his investment portfolio asset allocation, investment style, risk profile and everything else one need to know about your portfolio. Under this service you can get advice about insurance policies. Advice offered here is based on quantitative calculations. You can also get review of your existing insurance policies. In order to use this service it is mandatory to open account with fundsindia.com. As per me Fundsindia is Best Investment platform available today.This platform offers mostly all investment products to investor, not only that additional value added services offered by this investment platform is awesome. I think this tool enables every Indian investor to have a well-planned financial future. I think you should open account with fundsindia – best investment platform for Indian and NRI. What do you think about this investment platform do share your views!